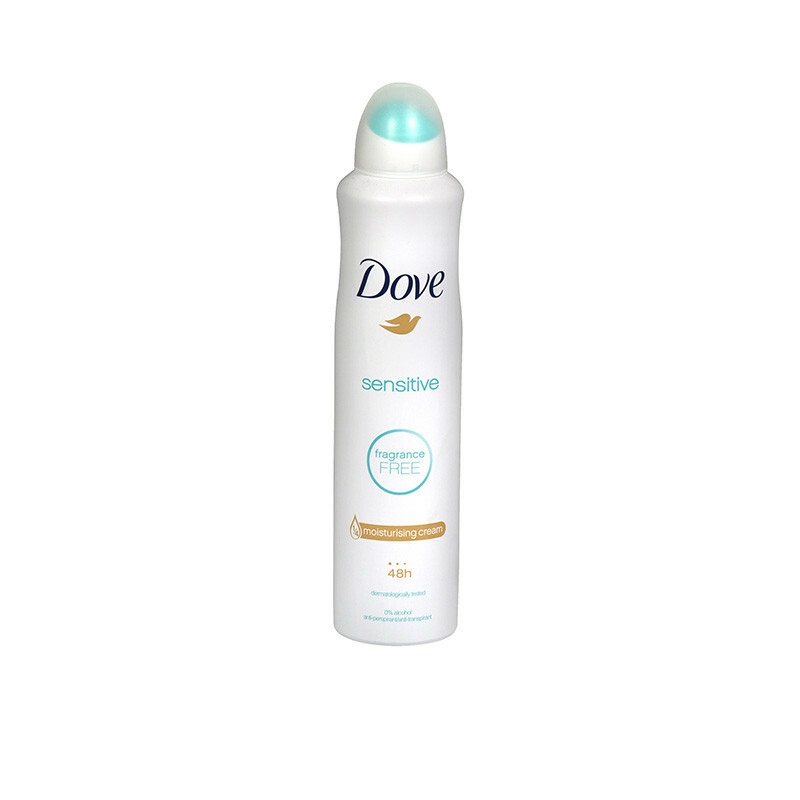 Contains a patented combination of transluscent anti-perspirant ingredients that help protect against white marks while delivering the protection and light fresh fragrance you would expect from a Dove deodorant. Fewer white marks, beautiful results. Only Dove has its 1/4 moisturising cream formula that helps skin recover itself after shaving It leaves underarm skin visibly softer and smoother With E and F vitamins. 48 hour protection. NO alcohol. How to use: Shake well, Hold can 15cm from the underarm and spray. Cautions: Avoid contact with eyes.